The course gave them confidence at meal planning and in meeting residents’ nutritional needs. Now they are more confident not only at catering for vegetarian residents, but also for those who prefer to eat less meat as they age. I recently held a vegetarian week with the agreement of residents. It was very popular and there wasn’t a single complaint! The courses can take place on the premises of a host organisation, anywhere in the UK, in the Vegetarian Society Cookery School training kitchens in Altrincham, Cheshire, or at Demuths Cookery School, in Bath. Delegate numbers are usually restricted to between 10 and 14. When a care group acts as host these may all be from that group, but if an individual home wishes to host a course, and does not have enough delegates, VfL is happy to invite staff from other homes in the region. Course fees, heavily subsidised by VfL, are currently just £25 per delegate, including lunch. Courses are available only to members of the VfL UK – List. Membership is free and joining couldn’t be easier – just go to the best practice page, check you meet our criteria and join online. There are many other benefits of being a member, including free marketing for your home(s), and regular new recipes for your residents to enjoy. And, of course, membership and the training are valuable in your efforts towards Equality and Diversity. These courses have helped a number of our staff members to provide more variety for vegetarians – one in particular has created a number of new soups from vegan ingredients. We are very happy that they have helped us to improve our person-centred care at excellent value for money. VfL has also available a short (20 minutes) training DVD that is condensed from the training courses and gives nutritional tips and demonstrates three recipes. This is available free of charge to all members of the UK – List and also to related charities. We’ve teamed up with the Vegan Society to create a brand new webinar series, ‘Care catering for vegetarians and vegans’. The webinar series consists of eight 40-minute online seminars that will run at 3pm on Tuesdays from 31 January 2017. 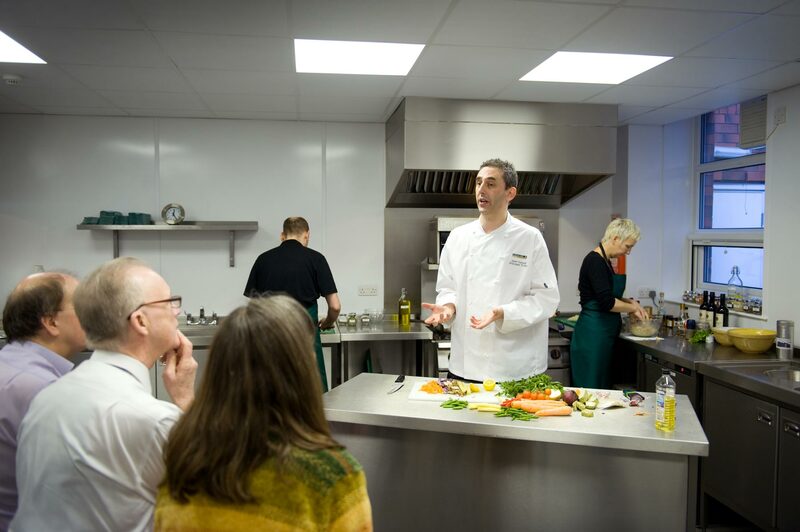 The webinars cover everything you need to know about veggie care catering: from what is suitable to include in these diets to mastering new ingredients; and from menu planning to hospital catering for all. Course certification is available. So why not register for these webinars here and make developing your skills and catering knowledge a successful 2017 resolution? Interested in our caterer training programme?